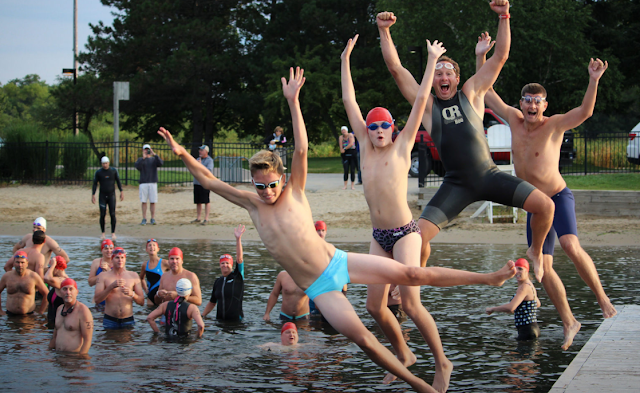 Courtesy of Steele Whowell, Swim 4 Freedom, Geneva Lake, Wisconsin. 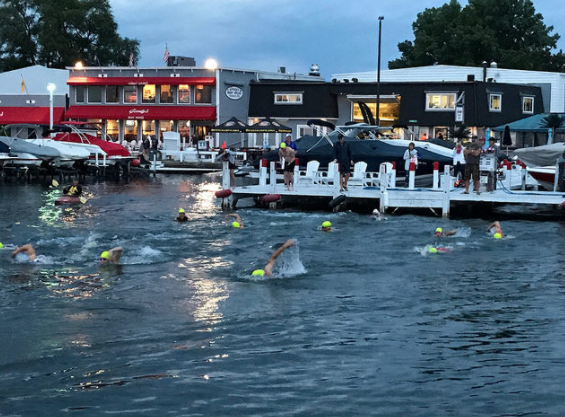 The weather was better than ever for the 9th annual Swim 4 Freedom in Geneva Lake organized by Steele Whowell on August 6th. "The lake was about as calm as it can get," reported Whowell. "A special thanks to Chief Master Sergeant Will Markham and Colonel Craig Brotchie for joining us this year. These gentlemen have risked their lives and sacrificed time away from family and friends to keep our country safe, and we do this event for them, for their brothers/sisters and for their families. The event raised over US$25,000 for the Special Operations Warrior Foundation and donations are still coming in.